Amakhosi in KwaZulu-Natal are threatening that there will be hell to pay should control of tribal land be taken away from them, and true to their word the issue surfaced in the first parliamentary debate of the year. With the ANC fractured as it is in the province, and with a general election just over a year away, this matter could menacingly hang around for a while. By CARIEN DU PLESSIS. It has driven the outgoing leader of the IFP to tears in the past, and Mangosuthu Buthelezi’s predictions on this one could yet prove to be true. “One of the first and greatest tests of our president will be the issue of land,” he said on Monday as a joint sitting of Parliament debated the State of the Nation Address. Buthelezi was referring specifically to the Ingonyama Trust, headed by King Goodwill Zwelithini. It administers land in traditional areas – about 60% of the total land in KwaZulu-Natal – according to Zulu customary law. There is some contention about the Ingonyama Trust Act, which was passed and enacted shortly before South Africa’s first democratic election on 27 April, 1994. Some have even said that it was part of a secret deal during the transition talks to appease the IFP and draw them into elections, but both Buthelezi and FW de Klerk’s representatives have denied this. The aim of the act was “to protect the few remaining pieces of land left to the Zulu Kingdom after colonial conquest and racial dispossessions”, Buthelezi said. In November the High-Level Panel on the Assessment of Key Legislation and the Acceleration of Fundamental Change, led by former president Kgalema Motlanthe, recommended that this act be repealed and the land transferred to the department of rural development and land reform, which would act as a custodian of the land and distribute it equitably. This is supposed to bring KwaZulu-Natal in line with the Constitution and national policy, and would also address complaints by people who felt their rights had been infringed by the trust. Buthelezi, however, told fellow MPs that the ANC-led government in the past had acknowledged that the land belonged to the king. He asked what brought about this apparent change of mind. He intimated that this tribal land was the first to be targeted after the ANC passed a resolution at its conference at Nasrec in December 2017 that there should be land expropriation without compensation. “Amakhosi never expected that the first land to be taken would be the very land that we placed in the hands of the people,” he said, before somewhat threateningly expounding on the military prowess of the Zulu nation. He warned that repealing the act would amount to “dispossession of blacks by blacks” and that it would be “playing with fire” and a “provocation against ourselves”. The report of the panel, which was appointed in 2016 by the Speakers’ Forum, comprised of presiding officers of Parliament and provincial legislatures, is now with Parliament to deal with any legislative reviews. The legislature has, however, not taken well to threats by traditional leaders, and issued a statement the day after Buthelezi’s speech. 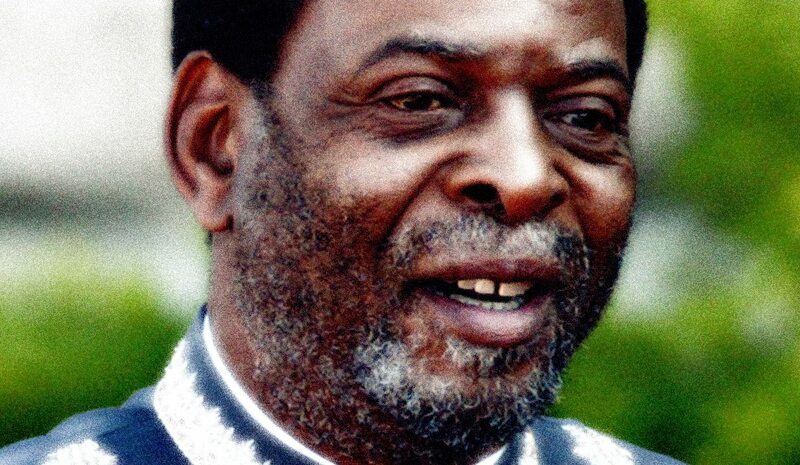 “There have been reports warning that ‘all hell will break loose over the panel’s recommendation to end the Ingonyama Trust’s control of certain land in KwaZulu-Natal and transfer it to the state. It is clear that there is misunderstanding of the role and powers of the panel as well as the status of the report,” Parliament said in a statement. Among the findings of the panel were that lease agreements raised significant money for the Ingonyama Trust – more than R96-million in 2015/16 alone – but that the community doesn’t benefit from the money as they should (in the form of a bursary fund, for instance). The land is held by the trust on their behalf. Any developments on the land, such as buildings, belonged to the trust once the lease was up, and the trust is also entitled to cancel the lease agreement for failure to pay rent. This raised a challenge for bank guarantees and investment. The trust’s books were also found to be wanting. The Auditor General found “that the financial statements were not prepared in accordance with the financial reporting framework prescribed in the Public Finance and Management Act”, the panel’s report read, and “goods and services were procured without inviting competitive bids”. The ANC responded carefully to Buthelezi’s accusations, with rural development and land reform deputy minister Mcebisi Skwatsha saying it’s not been finalised. President Cyril Ramaphosa took an equally cautious line the next day, in his response to the debate. He said difficult issues should be handled with the interests of people in mind. “No one is saying that land must be taken away from our people. Rather it is how we can make sure that our people have equitable access to land and security of tenure,” he said. The challenge is, however, that traditional leaders in other provinces are looking on. On the other hand, he said the amakhosi “have a huge influence in swaying the votes of the province”. Ramaphosa is also said to have initially sided with former president Kgalema Motlanthe on the recommendations. The issue of the trust would have been on the agenda when Ramaphosa met with the king at the beginning of the year – one of his first outreach meetings as ANC president. The way Cyril Madlala analysed it in the Sunday Times recently, it is apparent that the king needs Ramaphosa as much as Ramaphosa needs him. Madlala said that although former president Jacob Zuma got on well with the king before (Nkandla is built on Ingonyama Trust land), “the king would be well aware Zuma is no longer the man to go to to get the ANC and the government to reconsider meddling with Zulu ancestral land”. He said the king was inclined to “seek fruitful engagement with Ramaphosa” rather than “alienate him politically”. Similarly, however, Ramaphosa would need the king’s blessing if the ANC were to hope for anything resembling decent electoral support in next year’s general election – and this might mean delaying the resolution of the thorny Ingonyama Trust issue. Ramaphosa might be the flavour of the week in the ANC right now, but he is yet to get a popular mandate to govern. KwaZulu-Natal represents the ANC’s biggest province in numbers, but after Zuma occupied the party’s presidency for a decade, the province became so politically fractured that none of the possible three candidates for the party’s Top Six leadership made it to the Top Six in December.